With two billion unbanked people around the world, there is an urgent need to expand financial literacy. Whether it’s understanding basic financial products such as loans, mortgages, and checking accounts or learning about more complex topics, such as derivatives, futures trading, and other investment strategies, there is a clear need for greater access to financial education. We challenge you to create a web or mobile application that would promote financial literacy to audience of your choice (college students, unbanked adults, small businesses, etc).The project should provide gamified, guided learning. Impact: How well does the solution address the challenge or problem? new ideas and approaches to solving the problem? not, is there a roadmap for future enhancements? community it’s aiming to impact? • Design: Is the solution well thought out and designed? 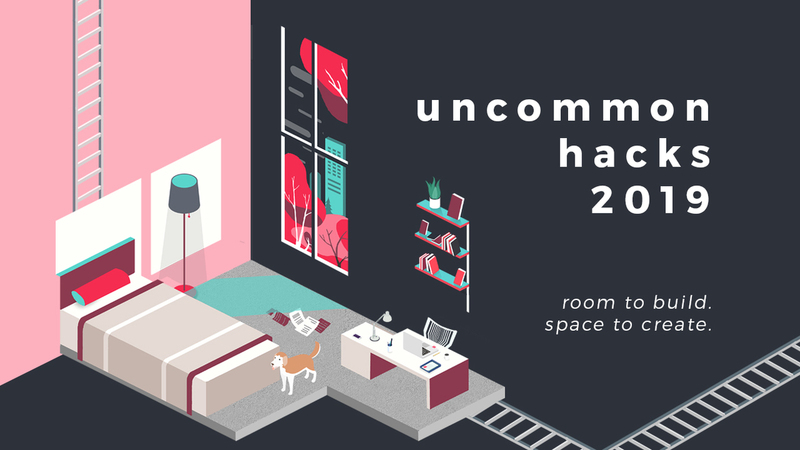 Uncommon Hacks is UChicago's annual inter-collegiate hackathon, which is being held on February 16-17 this year. Does the product function completely? How much of the functionality was written by the competitors themselves as opposed to open source code/APIs (self written is better)? Is the idea unique, compared to other ideas seen in the real world and / or when comparing to other projects within the Hackathon? Does it solve a problem, no matter how silly? Does it have great UI/UX design? The winning hack is a well balanced, well designed, technically impressive, and innovative project that is complete with a little "interesting" surprise?